Canon today announces that the new Macro Twin Lite MT-26EX-RT is now available for sale with suggested retail price of HK$7,480. The new Macro Twin Lite MT-26EX-RT, using together with the EF Macro Lenses1, is tailor-made for professional EOS camera users who are passionate about close up and macro photography, allowing users to create extraordinary flashing effects at ease. 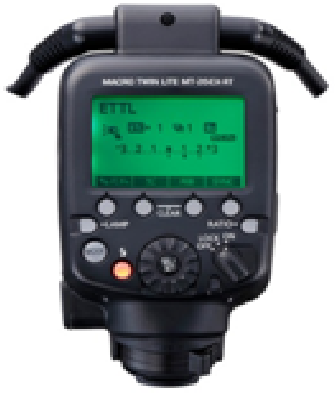 MT-26EX-RT is also equipped with renowned radio transmission wireless flash and the advanced dot-matrix LCD panel and user interface as found in the Speedlite 600EX II-RT. Together with the increased maximum guide number of 26, it offers extraordinary flash performance which enables unique and enhanced close-up photography experience to users. 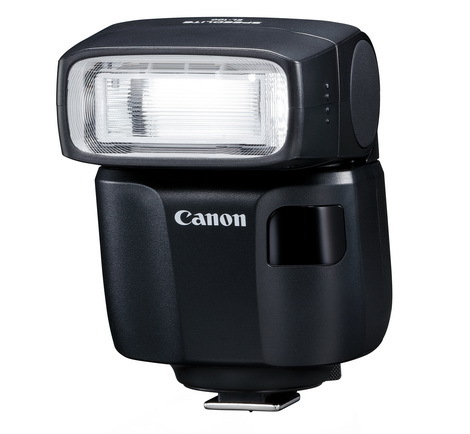 Compatible with Canon's wide range of EF Macro lenses1, the Macro Twin Lite MT-26EX-RT supports E-TTL II2 / E-TTL autoflash and manual flash. 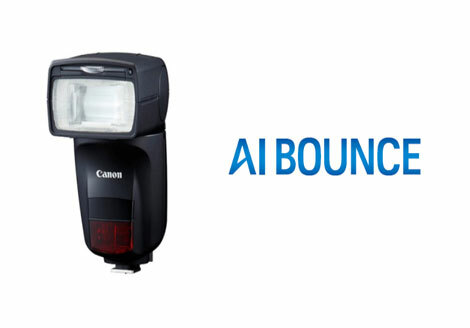 It also offers users a pair of independently controlled left and right flash heads which can be rotated over 80° angle around the mount ring in 5° increments. The flash heads can also be swiveled in different horizontal and vertical directions or removed from the mount ring for off-camera flash. As a result, flash direction and lighting position can be controlled flexibly. Featuring a maximum Guide Number of 26 (meter; ISO 100) for both sides firing or 19.9 (ISO 100, meter) for single-side firing, the Marco Twin Lite allows users to explore unique and creative lighting set ups when working close up at high magnifications. Manual flash range can be set from 1/1 to 1/512 with 1/3-step increments (1/1 to 1/64 for its predecessor) allowing finer adjustment on flash output and hence a more accurate and balanced exposures with ambient light during Macro photography. The Macro Twin Lite MT-26EX-RT also incorporates a pair of high-intensity white LED Focusing lamps with 5-step brightness adjustment, which offers enhanced focus assist than its predecessor, making it easier to focus in low-light conditions. A pair of new Diffuser Adapters SDA-E1 is also included and can be installed on each flash head to allow a wider flash coverage and more natural flash effect. Featuring the renowned integrated 2.4Ghz radio transmission wireless flash "Master" functions3, with 15 channels and 10,000 radio transmission IDs to prevent interference, the Macro Twin Lite MT-26EX-RT delivers a more stable and reliable wireless flash performance. Brought by a transmission distance up to 10m and the ability of wireless control of up to 5 groups and 15 units of slave units, multi-flash lighting setup becomes more controllable and flexible with the use of MT-26EX-RT. Macro Twin Lite MT-26EX-RT also supports the optical transmission wireless flash “Master” function and allows users to trigger stunning lighting effects agilely, with wireless control of up to 3 groups (A, B, C) of external flashes. Inheriting the advanced control interface of Speedlite 600EX II-RT, MT-26EX-RT allows users to easily review and adjust the flash settings and makes custom adjustment of lighting ratios via a Dot-Matrix LCD panel, such as the custom flashing proportion and the new "Charge Indicator" for charging status. 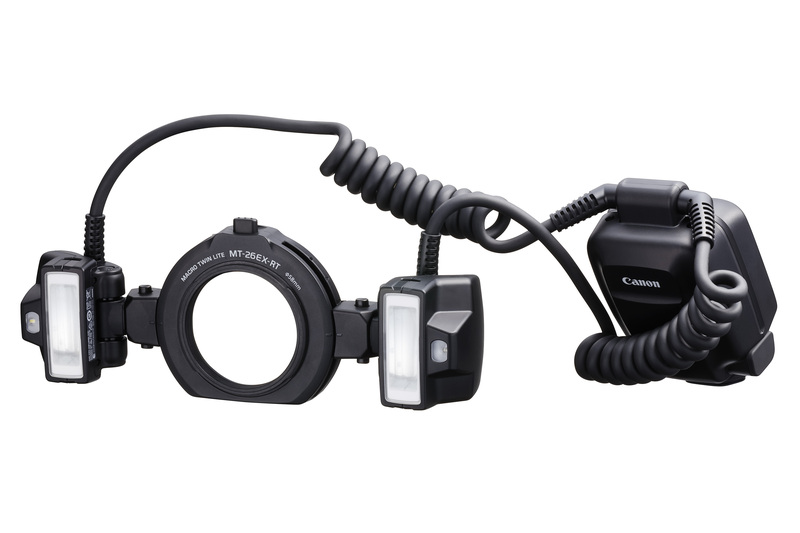 Users can also control the Speedlite setting with EOS Digital Camera's menu. 8 Custom Functions and 5 Personal Functions are also available respectively, giving users the freedom to have tailored setting to meet the needs. Optimized for the job demand of professional users, the Macro Twin Lite MT-26EX-RT provides a shorter recharging time and silent recycling, which helps users to catch critical moments, and it's also ideal for users who capture more timid subjects. Equipped with new quick flash function and color temperature information transmission features, users can also press the shutter confidently at the best timing and perfectly adjust to different situations. 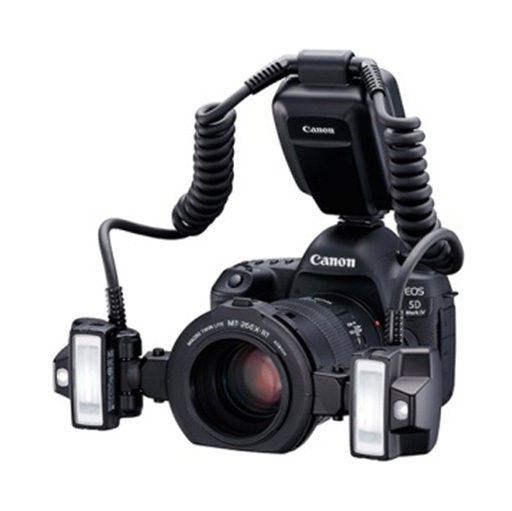 MT-26EX-RT features a highly durable metal mounting foot same as Speedlite 600EX II-RT, for secured flash installation. With an improved quick locking mechanism, hot shoe and contact reliability is further enhanced - a dust-wipe mechanism can remove dust and dirt stuck to the hot shoe contact, while a variable contact pressure design can improve transmission reliability by varying the pressure at the contacts, enabling the camera and flash contacts to remain firmly in touch while preventing scratches on the hot shoe, making it easier to attach and remove. The flash will also implement 2-line transmission for important signals. With the backup contacts, transmission accuracy is greatly improved. Also, equipped with the 58mm filter thread at the front of flash unit, user can install optional protective filter, circular polarizing filter or Lens Cap E-58 II (purchase separately) to prevent dust and dirt build-up, and protects the macro lens against scratches and bumps at work. The new Macro Twin Lite MT-26EX-RT is available for sale now. Suggested retail price is HK$7,480. Canon Inc. (TSE:7751 / NYSE:CAJ) was founded in 1937 in Japan. Its predecessor, Precision Optical Instruments Laboratory, produced Japan's first 35 mm focal-plane-shutter camera “Kwanon” in 1934. Canon Inc. eventually expanded into the photocopying and printing industries, launching Japan's first plain-paper copier NP-1100 in 1970 and the world's first inkjet printer BJ-80 in 1985. Through the years, Canon Inc. has acquired in-depth experience in digital imaging product manufacturing, and research and development. It is a leader in the development of innovative products and holds the most technology patents in the imaging industry. Canon Inc. also makes a significant contribution to the promotion of photography. Today, Canon Inc. has a strong global presence and is one of the most important market players in the imaging, office and industrial product categories. As of 31 December 2016, Canon's global revenue was US$29.3 billion.